Today is Wednesday, December 21, the 356th day of 2016, with ten days remaining. The winter solstice occurs today at 10:44 UTC in the northern hemisphere. It is the day with shortest period of daylight north of the equator; the amount of daylight will increase daily until the summer solstice arrives in June. There are two days until Festivus, three days until the start of Hanukkah, four days until Christmas Day, 30 days until Donald Trump becomes president of the United States, and 685 days until the November, 2018 mid-term election. 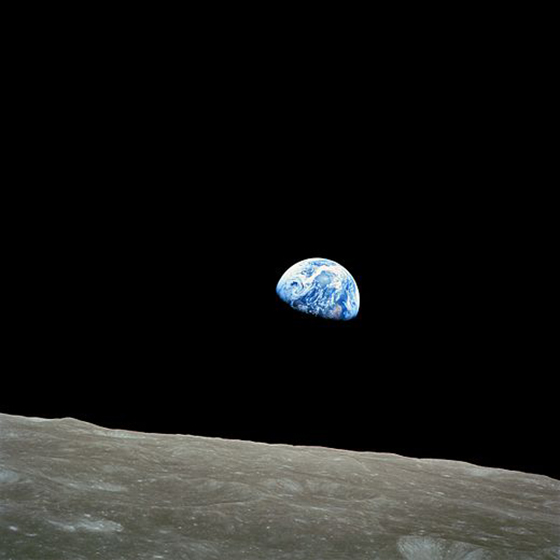 On this day in 1968, Apollo 8, the second human spaceflight mission in the United States Apollo space program, was launched on December 21, 1968, and became the first manned spacecraft to leave Earth orbit, reach the Earth's Moon, orbit it and return safely to Earth. Among other things, today is also Yule, a festival observed by the historical Germanic peoples. Terms with an etymological equivalent to Yule are used in the Nordic countries for Christmas with its religious rites, but also for the holidays of this season. Today Yule is also used to a lesser extent in English-speaking as a synonym for Christmas. Present day Christmas customs such as the Yule log, Yule goat, Yule boar, Yule singing, and others stem from pagan Yule. Yule is observed today by Heathenry and some other forms of Modern Paganism. The Palm Beach Post says living in the state is the best way to believe the almost daily unbelievable 'Florida man' stories. As of this writing, The KGB Quotations Database contains 43,411 entries. Check it out. "One of the worst things about life is not how nasty the nasty people are. You know that already. It is how nasty the nice people can be." Even the insects have it rough in Australia, where many male jewel beetles died trying to mate with beer bottles they find irresistable. As if influencing the Presidential election wasn't enough, Russian hackers are ripping off Internet advertisers. "Ad-libbing, rambling, or flying off the handle can be very dangerous in an epidemic." How President-elect Trump's casual relationship with facts and reality might play out in a pandemic. President Barack Obama is preparing to block the sale of new offshore drilling rights in most of the U.S. Arctic and parts of the Atlantic, a move that could indefinitely restrict oil production there. With his show on hiatus until Inauguration Day, comedian Bill Maher broke his silence on the upcoming Trump presidency, marijuana legalization, and the War on Christmas. NSFW language.